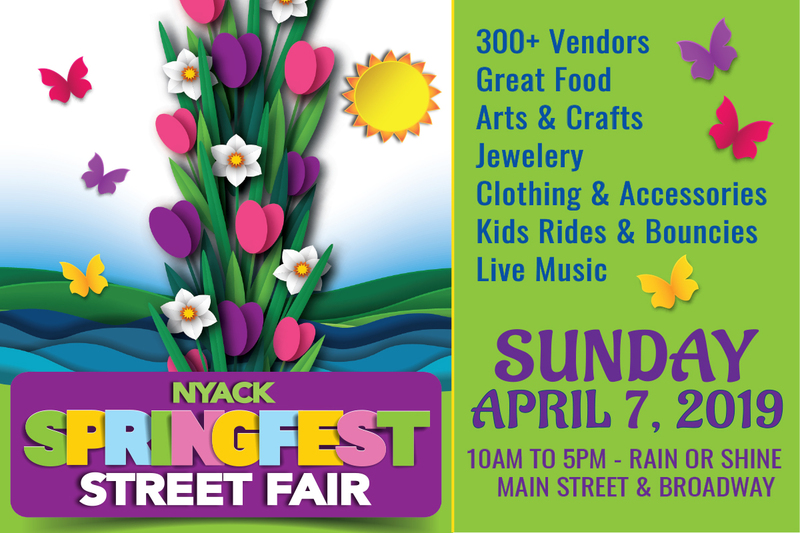 SpringFest launches the Nyack’s street fair season on April 7, 2019. Join thousands of visitors in Nyack as we celebrate the event with live bands, great food, kid rides, and hundreds of vendors offering unique crafts, jewelry and more! It’s a great day for the whole family, and while you’re there, check out Nyack’s one of a kind shops, pubs and fabulous restaurants. No pets are allowed, by order of the Village of Nyack. Thanks to our sponsors Nyack Ridge Rehabilitation and Nursing Center and Nyack Boat Charter.